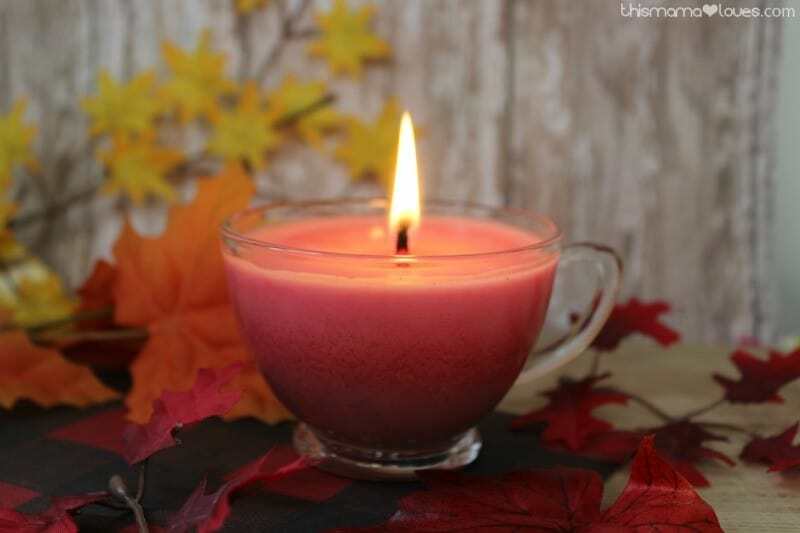 An apple spice candle adds a festive fall fragrance in your home. This one is homemade so it’s free of any harmful chemicals. 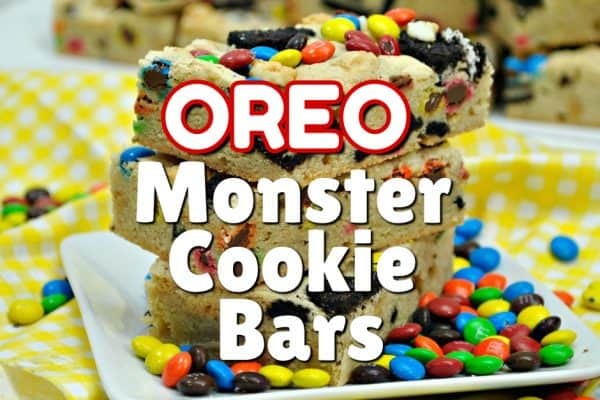 Plus it’s easy to make! 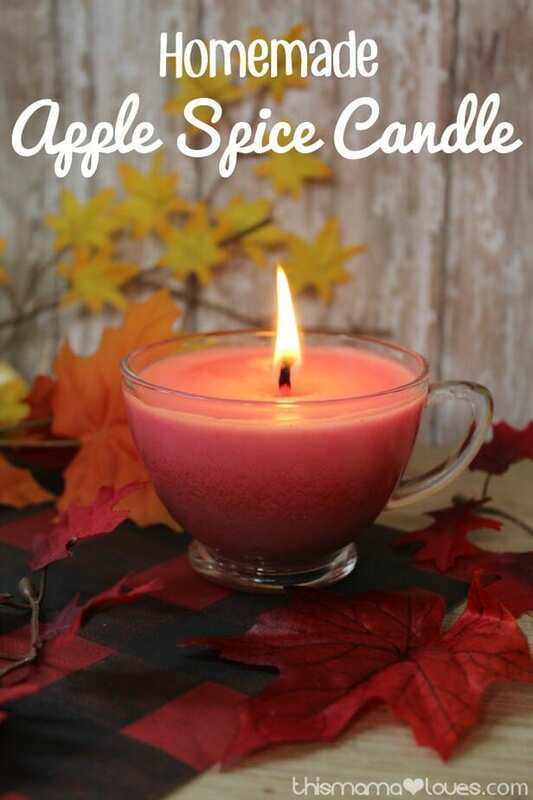 I’ve been thinking about making homemade candles as Christmas gifts, and this apple spice candle would be well received, I’m sure! 1. Begin by heating the soy wax flakes on low heat on the stove top. Use a non stick pot for best results and quick and easy clean up. 2. Continue to stir the flakes as they melt. You want to keep the liquid moving. 3. 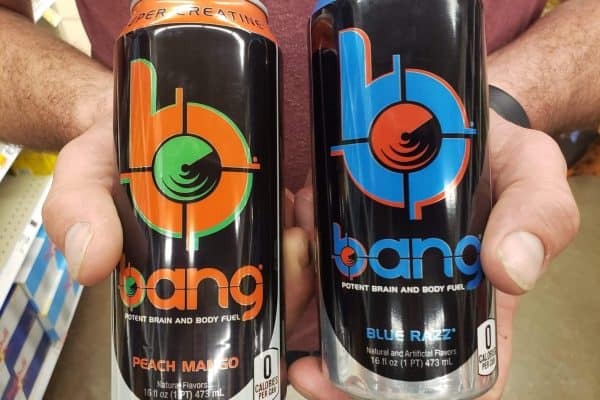 You can now tint the soy flakes with a red crayon. 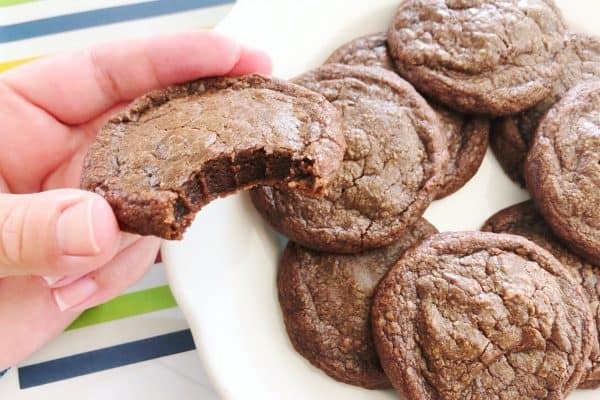 DO NOT use food coloring as it will clump and not distribute in the mixture. Peel the crayon and break it into small pieces. Drop it into the mixture and stir. As the crayon melts the color will blend. 4. Add in the apple pie spice or oil as well as the cinnamon. Stir well. You will notice that the mixture will darken. 5. Wrap the top of the wick around a pencil or chopstick to hold it in place. 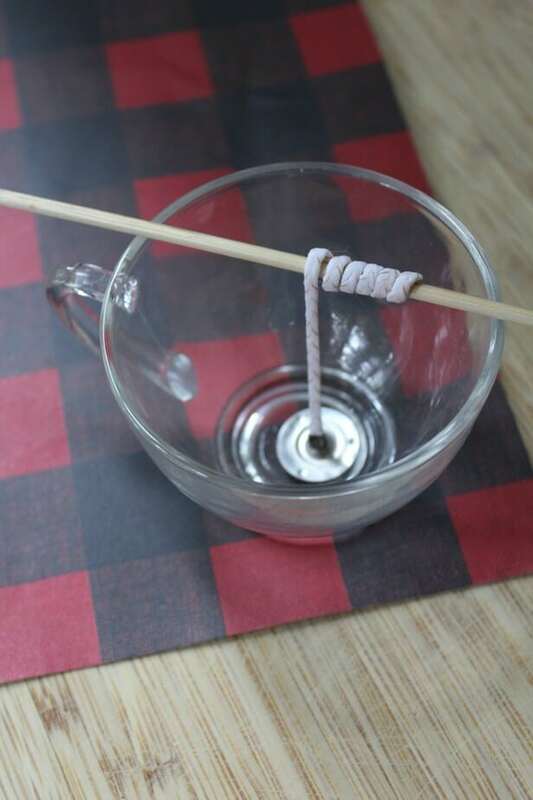 Set the pencil over the top of the tea cup, allowing the wick to drop to the bottom. 6. 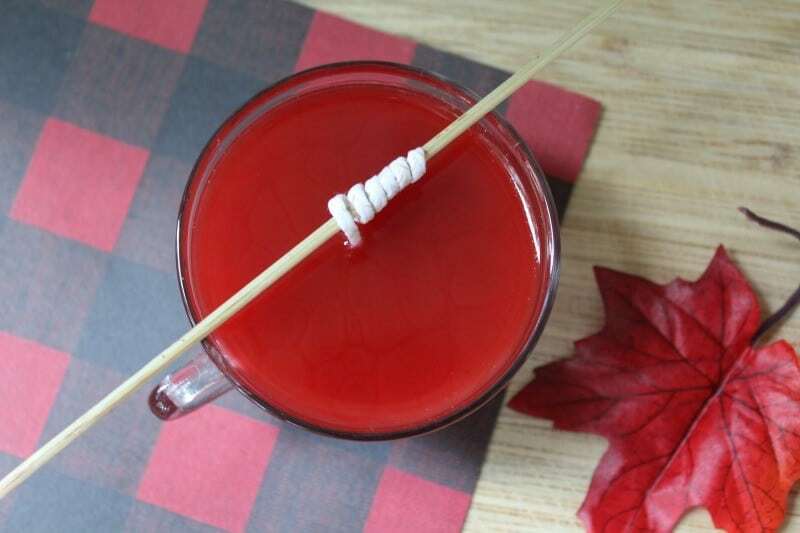 Remove the mixture from the heat and slowly pour it into the cup. Adjust the wick if needed. 7. Store the candle in a cool place until it sets. Do not touch it while it is setting. Even if the top looks firm, the inside could be soft. Instead, let it sit for a full 3-4 hours before touching. 8. Once hardened, you can snip the wick to shorten it. Light the wick and enjoy! My daughter in marriage and I use to make candles but they were not this easy. I’m excited about getting back in crafts………..especially easy and giftable (is that a word? lol) ones. I love this! I will be doing this with my daughter this week. Thank you for sharing! !